"Disappearing Crayons" is one of my latest patterns. 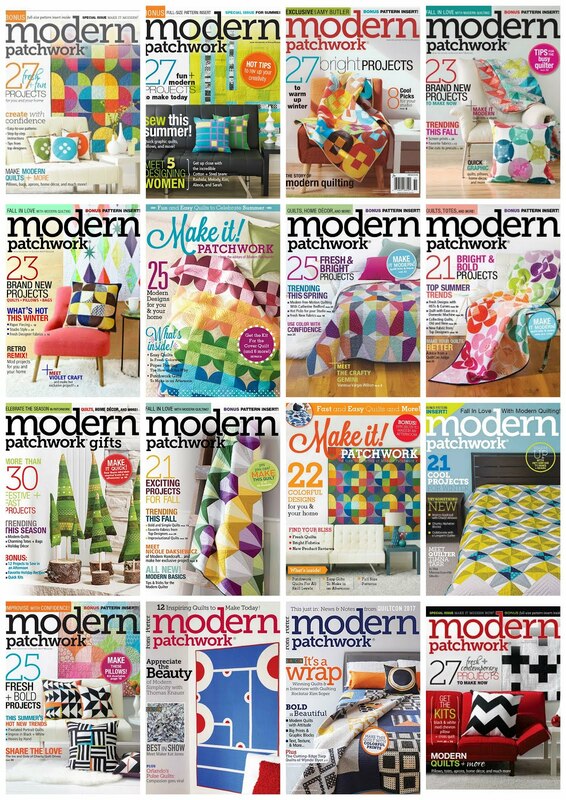 Very colorful, perfect for children's room or a modern office. It's not entirely my style, but I like the final result. "Disappearing Crayons" to jeden z moich najnowszych wzorów. Bardzo kolorowy, idealny do dziecięcego pokoju lub nowoczesnego biura. Choć nie do końca wpisuje się w mój styl, jestem zadowolona z rezultatu. I was working with Kona Cotton solids by Robert Kaufman. 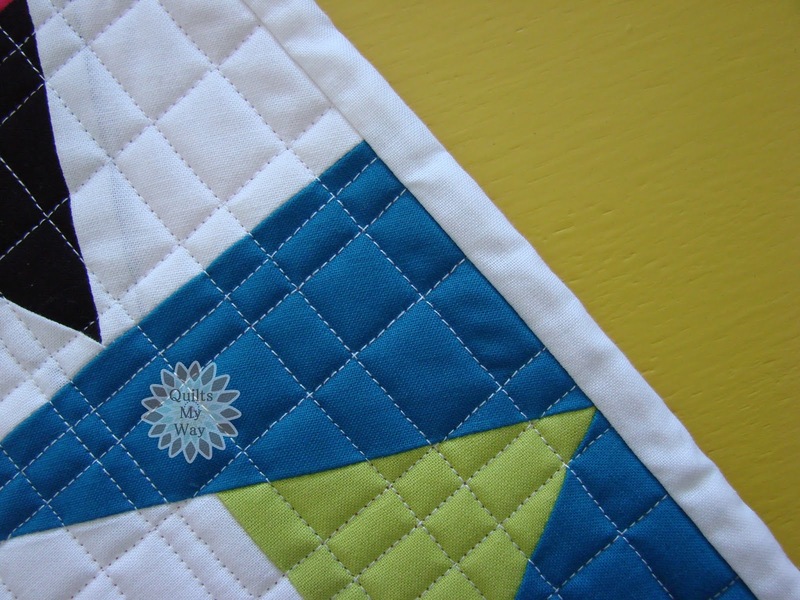 The quilt is pieced and quilted with Aurifil 50wt. This time I have quilted the quilt in an irregular grid. Quilt został uszyty z tkaniny jednolitych Kona Cotton Roberta Kaufmana. Do szycia i pikowania użyłam nici firmy Aurifil o grubości 50wt. 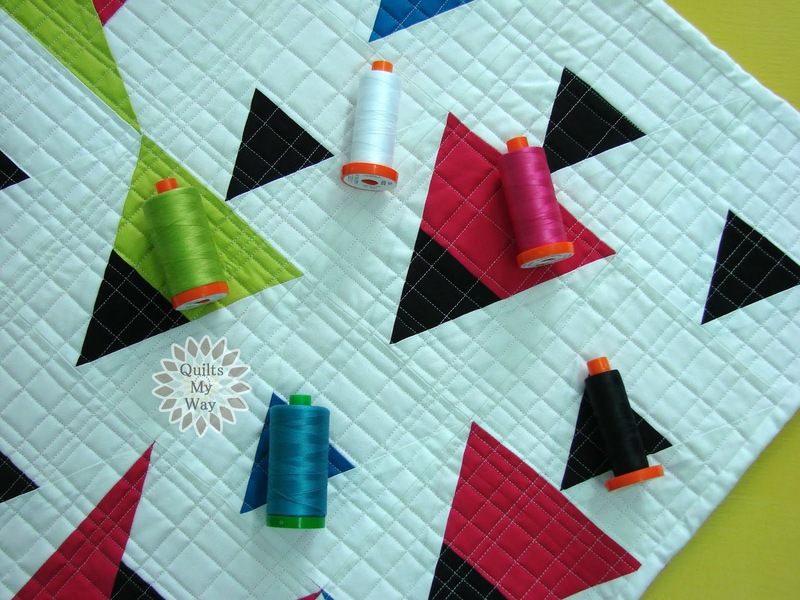 Tym razem przepikowałam quilt w nieregularną kratkę. 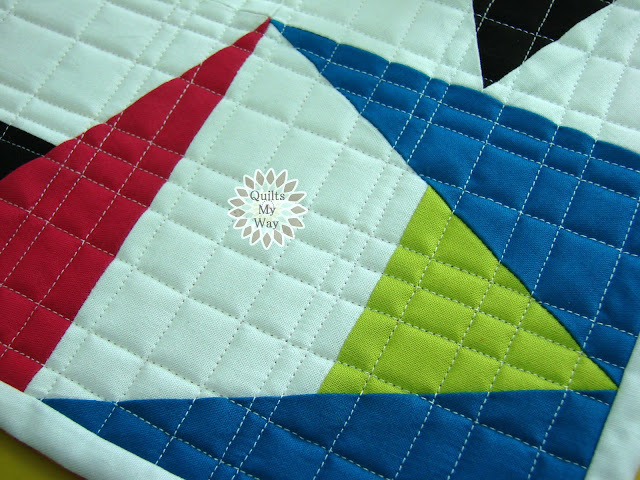 On the back side I made small corner pockets, which are enough to hang this mini quilt. Na tylnej stronie naszyłam niewielkie narożne kieszonki, które w zupełności wystarczą do powieszenia tak małego quiltu. I think its just gorgeous! 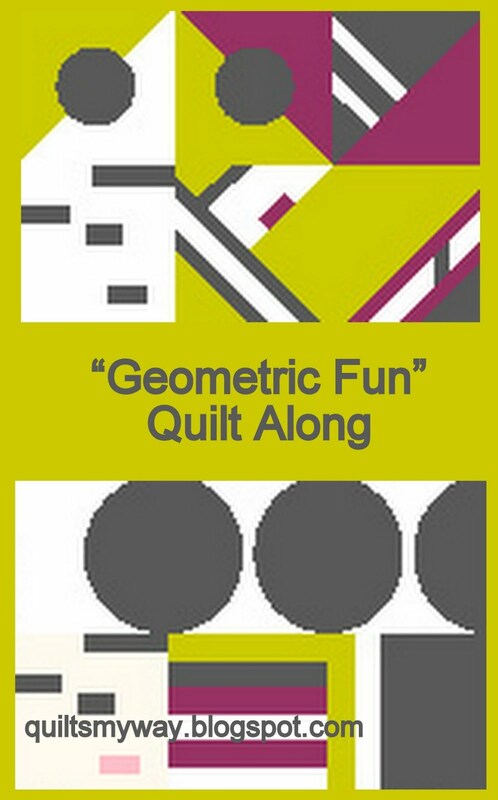 The quilting is wonderful too! That is really great. 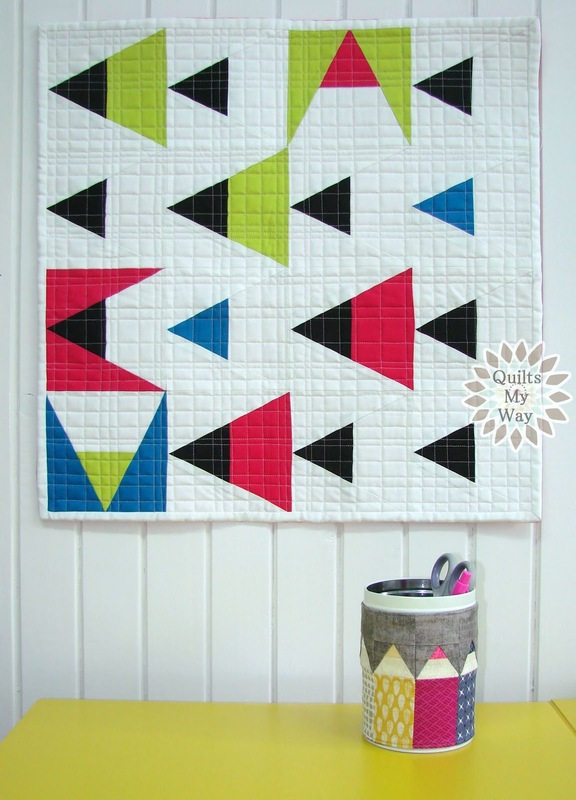 I love the modern feel of this one and the quilting is perfect for it. 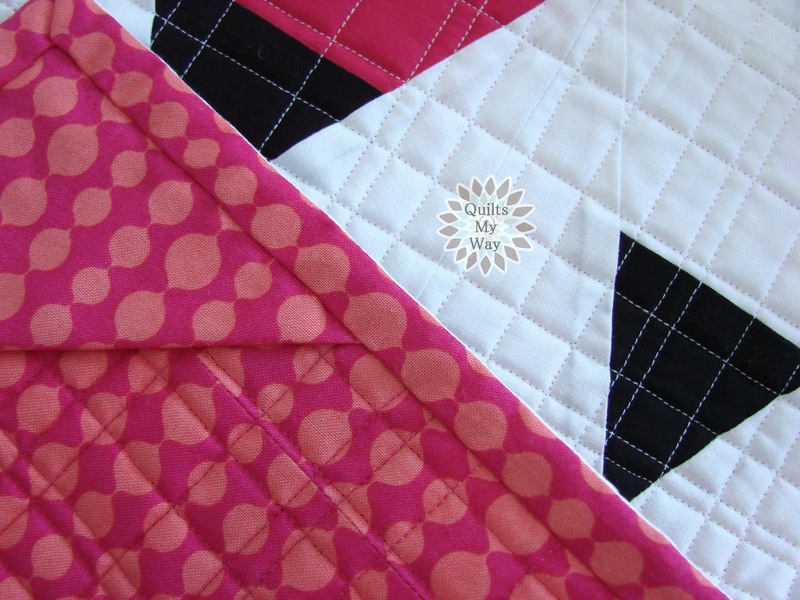 Very original design and I love your quilting !